Even as the economy continues to falter and many young professionals remain underemployed, there's a strong desire for luxury items--though as LVMH has figured out, there's also a desire for a price that makes these goods more attainable. Sales of Louis Vuitton's four-figure handbags have slowed globally, making room for a different LVMH-owned retailer, Sephora, the beauty store we know and love, to make a splash. 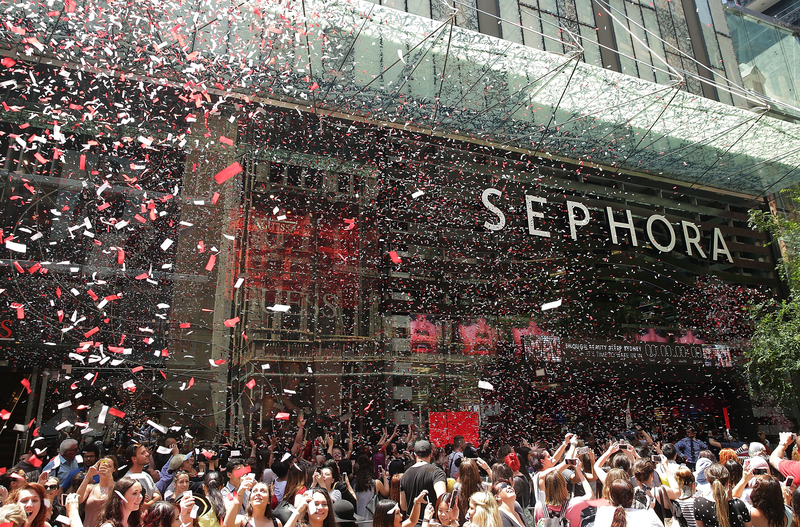 Sephora will continue to roll out 120 new stores per year through 2017, on top of the 1,300 shops already standing. This expansion includes airport stores, which is great news; how many times have you had to ditch a full-size product at home to get through security without checking a bag? Being able to pick up the product on the other end of the airport is one of my dream conveniences. Aside from the number of stores, Sephora is also ramping up in-store features to create a better experience. Technologies like mobile checkout (think Apple Store-esque,) classes, and workshops that will teach customers how to apply false eyelashes or take care of their skin, makeup application at their Beauty Studio and an expansion of their in-house product range (which are considerably less expensive than their luxury-name counterparts), are all in the works or already in place. Sounds like what's good for LVMH is good for Sephora shoppers!